Continuing conflicts between violent groups and states generate an ever-present demand for higher-quality and more timely information to support operations to combat terrorism. Better ways are needed to understand how terrorist and insurgent groups adapt over time into more-effective organizations and increasingly dangerous threats. Because learning is the link between what a group wants to do and its ability to gather the needed information and resources to actually do it, a better understanding of the group learning process could contribute to the design of more-effective measures for combating terrorism. 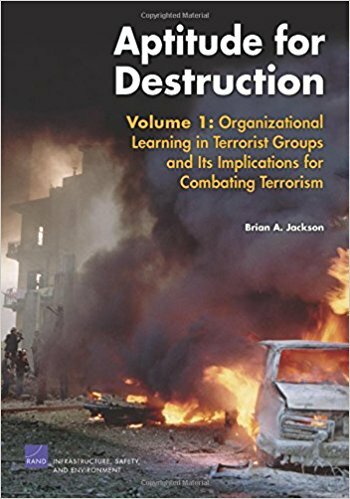 This study collects and analyzes the available information on terrorist groups’ learning behavior, combining input from the organizational learning literature, published literature on terrorist and insurgent groups, and insights drawn from case studies and workshop discussions. It describes a model of learning as a four-part process, comprising acquiring, interpreting, distributing, and storing information and knowledge. This analytical framework, by providing a fuller picture of how terrorist groups try to adapt and evolve over time, may help in understanding the behavior of individual groups and the level of threat they pose; in developing effective counterstrategies to detect and thwart their efforts; and in appropriately allocating resources to counter potential and proven adversaries. A companion report, Aptitude for Destruction, Volume 2: Case Studies of Learning in Five Terrorist Organizations, examines in detail the learning activities of five major terrorist organizations and develops a methodology for ascertaining what and why groups have learned.